Tickets for Storm’s upcoming game against the Nottingham Panthers can be ordered online HERE, by calling the Box Office on 0161 926 8782, or in person at the box office. Face-off is 17:30 Sunday 6th January. The Devils have been battling it out for first place in the league with Belfast Giants for a while now. With only one point lying between both teams, the Devils will be pushing hard for a home win when Storm visit Ice Arena Wales later on today. Back in November, Storm took the Devils into overtime and only narrowly missed out on the win. Last month as the Devils visited the Storm Shelter again, things got scrappy as Bakker and Louis threw punches in the final minute. It will be interesting to see what Storm will produce on the road, as they have two hard games against current 1st and 3rd place in the EIHL. A week ago it was announced that Slovakian forward, Merek Tvrdon had parted ways with the Panthers. The Panthers then blew up the internet a few days ago with the announcement of newly signed ex-NHL player, Chris Stewart. The Canadian forward has iced for six NHL teams, including St Louis Blues and Minnesota Wild. Drafted in round one by the Avalanche in 2006, Stewart will be icing with #55 on his jersey for the Panthers. With 652 NHL games under his belt, this is a great signing for the EIHL team, and we can guarantee Sunday will be an exciting game to witness. Last month when Panthers visited the Storm Shelter, the final result was 3-2 to Storm in overtime. It was current leading British points scorer, Ciaran Long who took the winning goal, securing the two points on home ice. 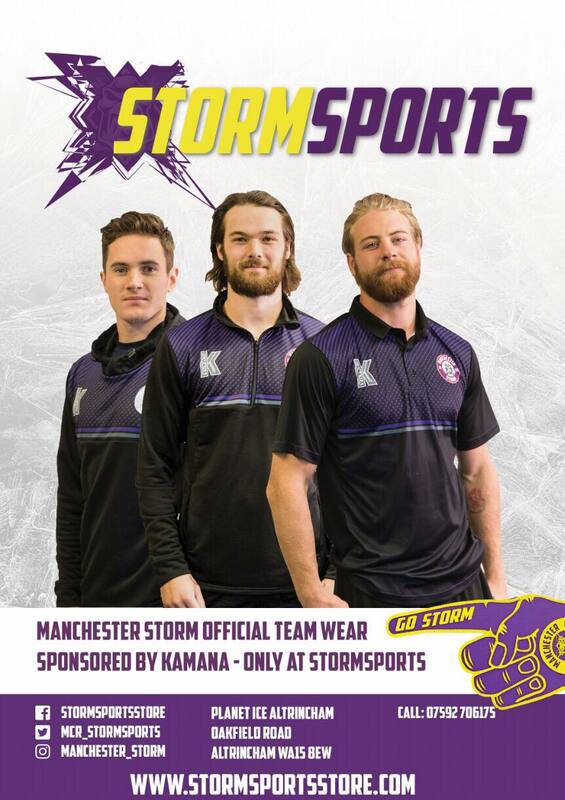 The Storm also ventured over to Nottingham for Challenge Cup game last month just a few days later, securing a 4-2 road win, the winning goal also being handed to Long. With only eight points lying between 10th and 5th in the league standings, Storm will be doing everything they can to secure another two points at home, so expect a very competitive EIHL game. After this Sunday, you can next see the Storm in action at home on Sunday 13th January against Fife Flyers – 17:30 face-off! Are you a lover of Bingo or want to try something different? The OSC have just announced their next event, Storm Bingo – January 22nd, 7:00PM. Email [email protected] for more information!